Mercedes-Benz has been making its rounds among Hollywood notables, showing off its S400 Hybrid, BlueTEC, and Zero Emission B-Class Hydrogen Fuel Cell vehicles during the 2011 awards season. 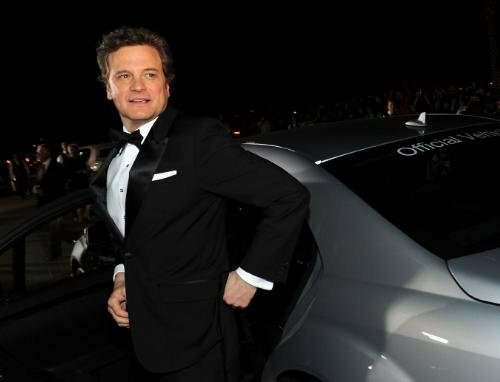 Celebrities who have chosen the environmentally friendly cars as their transportation of choice as they arrive at various events include Natalie Portman, Ali Larter, Hayden Panettiere, Colin Firth, Amy Adams, Ben Affleck, Robert Duvall, Eva Mendes, Mark Wahlberg, Carey Mulligan, James Franco, Helen Mirren, Aaron Eckhart, Oliver Stone, Jesse Eisenberg, Jake Gyllenhaal, Kirsten Dunst, Julia Stiles, and Matthew Rhys—to name more than a few. "It's good that there are now vehicles with alternative fuel options, from clean diesel, hybrid and even hydrogen, that are becoming more widely available," said Portman. The Mercedes-Benz S400 hybrid luxury sedan is also a known favorite of many eco-conscious A-list actors including Tobey Maguire, Demi Moore, and Gerard Butler.